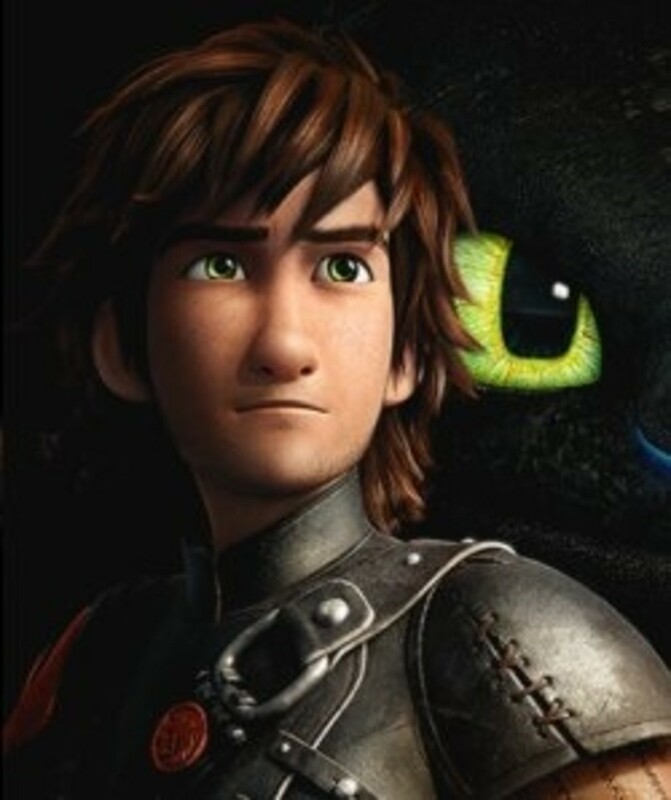 This Halloween, due to the success of How to Train Your Dragon 2, there are likely to be many young (and perhaps not so young) Viking dragon rider costumes, like those of grown up Hiccup, voiced again by Jay Baruchel. The viking warrior / dragon rider costume will be popular with young boys, teens and perhaps even a few 20 somethings. There looks to be an official squirrel flying Hiccup costume for younger boys, but nothing for teens. Figuring out Astrid's girl Viking Warrior costume was a bit of a challenge. Hiccup's is proving to be even more so, with the custom leather and iron armor. Read on to see what I've figured out so far. This lens is in progress. Check back to see it develop. This older version of Hiccup has been described as "Swoon-worthy." Do you agree? Hiccup and Toothless from Dreamwork's How to Train Your Dragon 2. 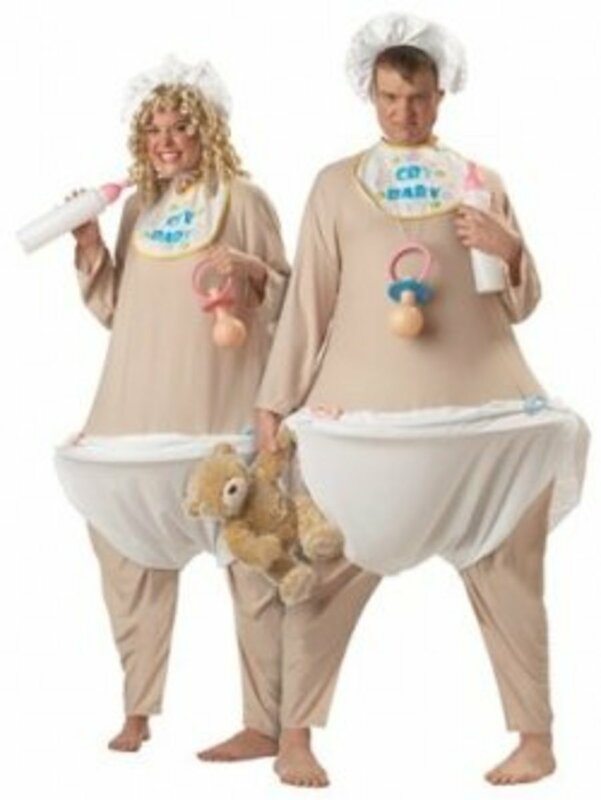 A website for finding the Best DIY Costumes, Crafts and Halloween Fun with information on DIY costumes and crafts previously prominently featured as part of the Best of Halloween and Make Your Own Halloween Costumes on Squidoo. Hiccup as a Funko Pop figure is so cute. Toothless is also available as a Funko Pop figure. (I think he looks a bit angry with those eyes). 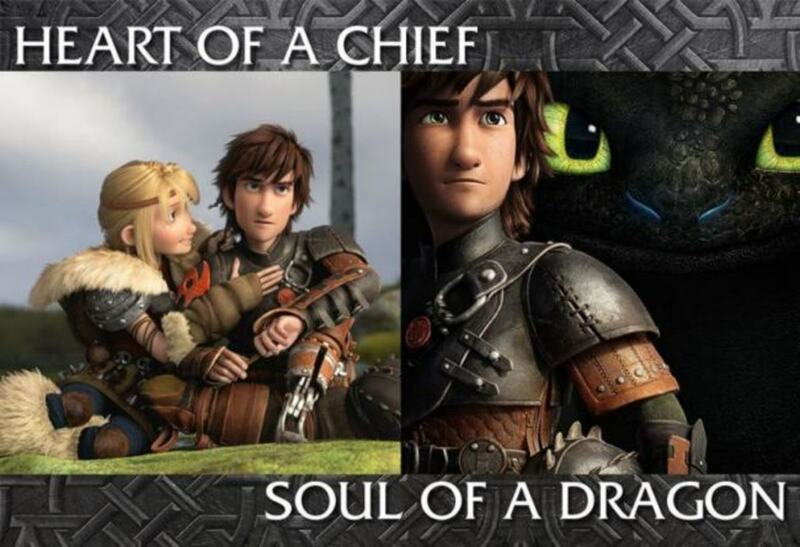 You can get an idea of how Hiccup's leather jacket works and also how his relationship with Toothless has developed in these trailer clips from the movie. In this clip you can see Hiccup's flying squirrel jacket in action. 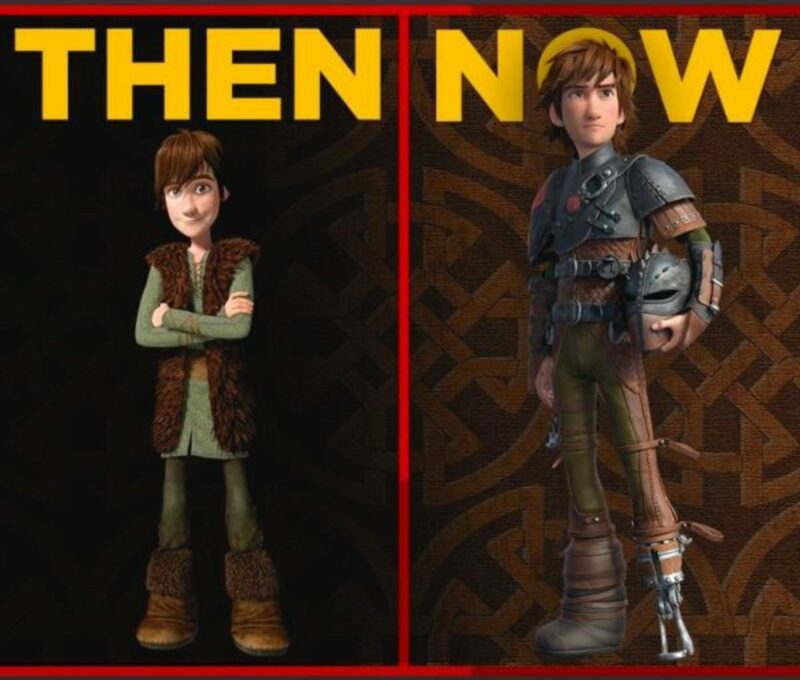 Hiccup's costume has changed quite a bit from the first movie. 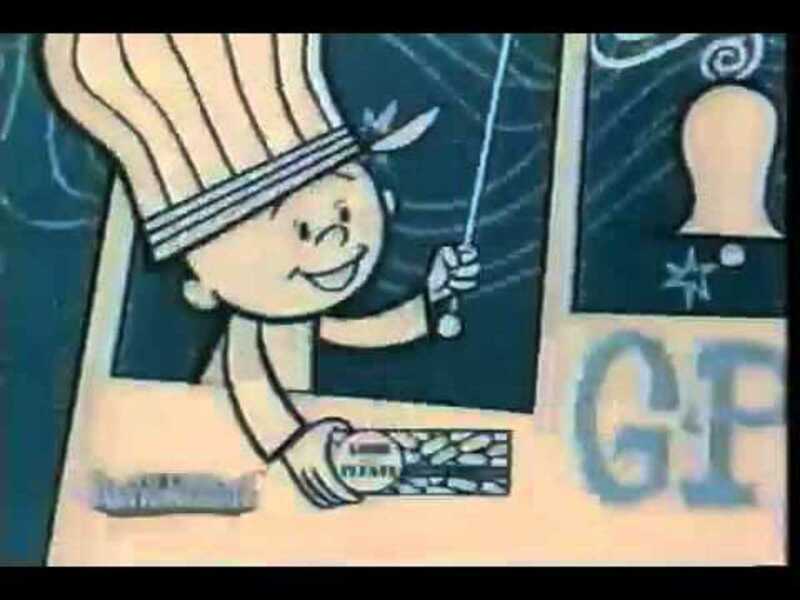 In the first, he almost looked a bit like a shepherd. 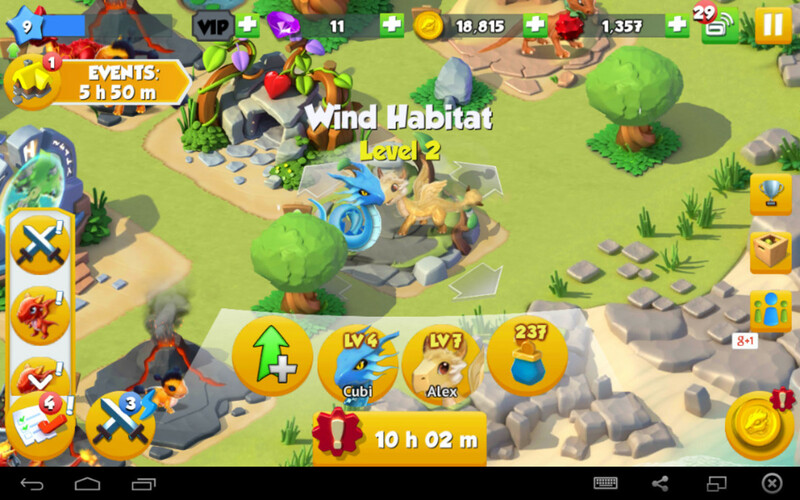 In this second movie, he is now a Dragon rider, explorer and inventor. His clothes and armor allow him the ability to fly or at least glide through the air like a flying squirrel. Hair now has several short braids on the right side. Dragon Rider Helmet with mask. Leather armor with flight suit customization. Leather arm shields as part of flight suit. For those interested in seeing more of the details of the costumes and the characters clothes, this book on the art from How to Train Your Dragon 2 is a must have for anyone wanting to recreated a cosplay costume. 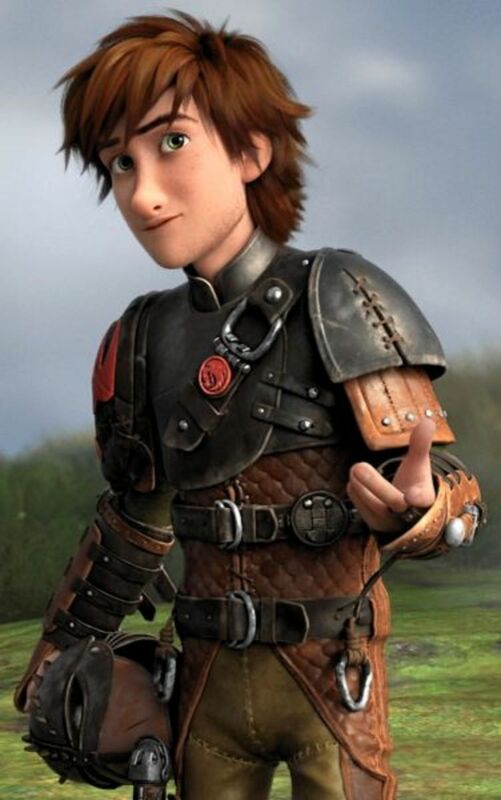 Hiccup's customized leather armor, squirrel flight jacket even leather pants have so many details, many of them involving the ability to work with leather, making it more challenging for regular seamstresses to reproduce. 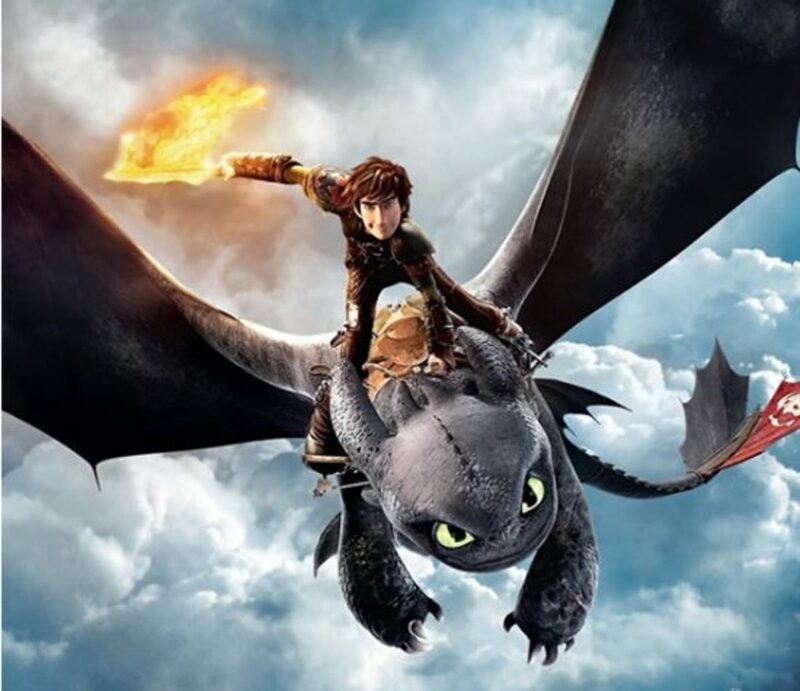 Hiccup's new dragon riding costume has been designed to allow him to fly like a flying squirrel. 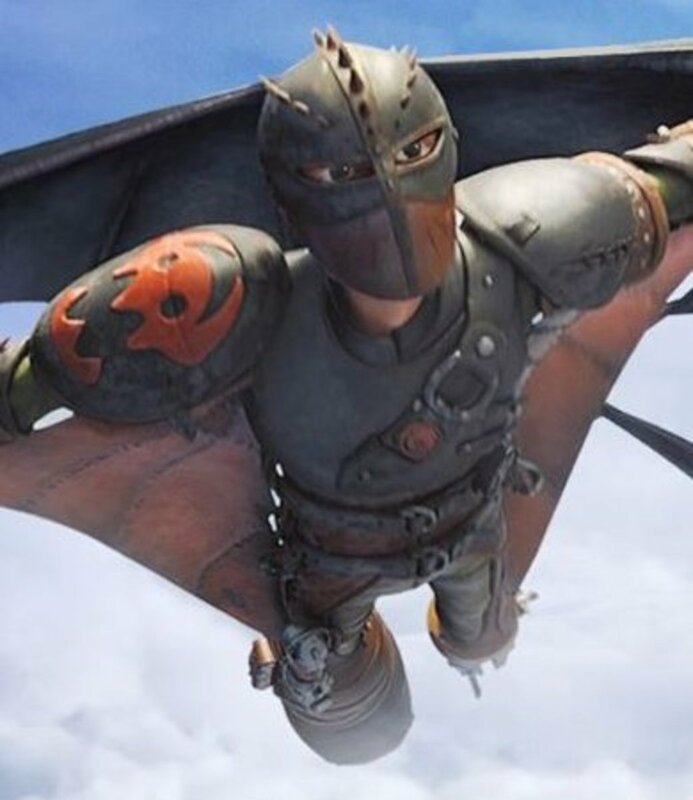 Hiccup's Dragon Rider Mask and flying squirrel jacket are some of the most interesting costuming elements from HTTYD2, showcasing Hiccup's ingenuity and understanding of flight. The flying squirrel jacket along with this customized leather armor may be some of the more challenging to reproduce. Until the official dragon rider helmet is available for Halloween, this Roman Spartan Warrior Helmet was the best that I could find which resembles Hiccup's helmet, at least in the shape (somewhat). Using paper mache, or thermoplastic sheets and paint you can modify this helmet into Hiccup's flying one. Kydex is an easy-to-form thermoplastic that is being used in cosplay and costuming to re-create armor. Use the Pewter Gray and brown plastic to recreate Hiccup's Flying Mask. Sheets come in different thicknesses. Some of the other Hiccup costume created by crafty people for their children or for cosplay. 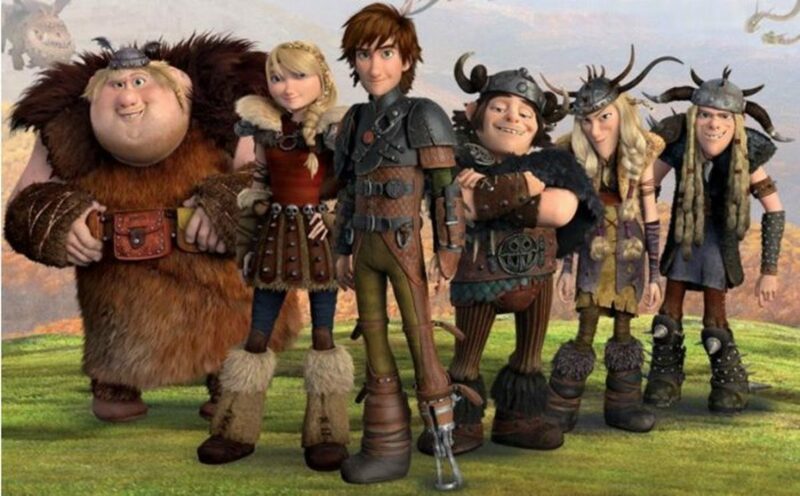 Note that some links are for the original Hiccup attire from HTTYD. An amazing cosplay Hiccup from HTTYD2. The details on this are incredible. A blog about the making of Hiccup's Flight armor costume. Another cosplay Hiccup costume designed by and for a girl. This one uses worbla, faux leather, cotton, wood, denim and clay. An easy to make original Hiccup costume from Enchanted Mommy. Another version of the original Hiccup costume. Ideas for creating the original Hiccup costume from the 2010 How to Train Your Dragon. A replica of Hiccup's Dragon Blade. This costume blade retractable and extends out into a full sized sword (but no fire). You can also find the Dragon Blade on eBay. Dragon Riders from How to Train Your Dragon 2 on Facebook. These viking costumes may not look much like Hiccups customized leather costume, but they could be the basis for some of the other dragon rider costumes. This viking boy costume could be the basis for Snotlout's costume. It comes with a tunic, a cape, pants, belt, arm cuffs and shoe covers. Would you wear a Hiccup costume, or know someone else who might? 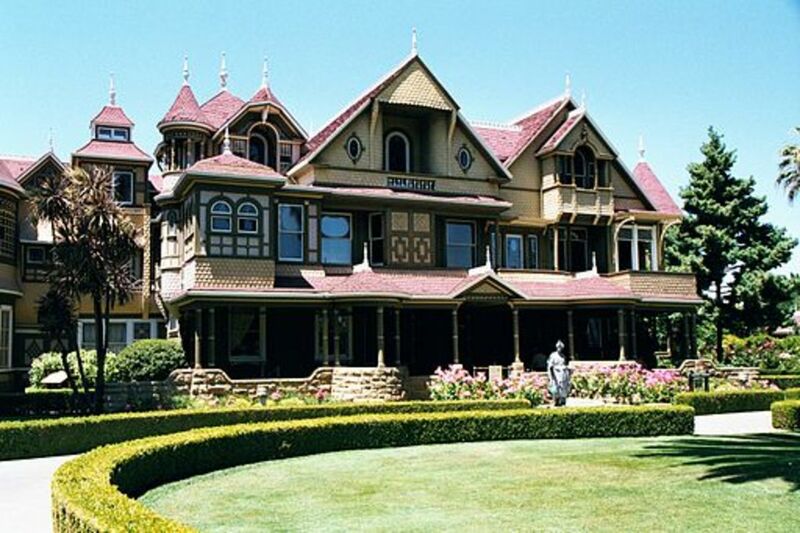 Winchester Mystery House: Why Did Sarah Build It?